Girls water polo at Loomis dates back to the late-1970's, when Coach Bob Hartman created one of the first high school programs in New England. Splitting into girls and boys programs in the mid-1990s, both teams have enjoyed consistent success in their respective leagues. The girls have won three New England Prep School Championships and finished second six times. The daily focus on individual skill development and the ability to play as a team is at the core of the program. With growing enthusiasm for the sport and the joy that the team members share by being with each other every day, Loomis Chaffee water polo continues to thrive as it competes in both the Founders and Class A New England leagues against skilled opponents who help to challenge and refine our play. Each year Loomis participates in the Choate Invitational, competes in several tri-meets, and contends for a New England Tournament berth. We look forward to welcoming you. The girls water polo team hosted Suffield Academy at Hedges Pool on Monday afternoon in a rematch of their close match two weeks ago, and this time the Pelicans came out on top, defeating the Tigers 10-8 in front of a large crowd. Fueled by impressive second and third quarters, the girls varsity water polo team defeated Hotchkiss 8-6 on Wednesday, April 4. 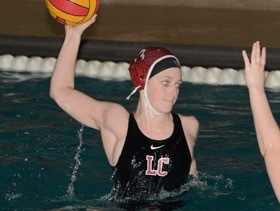 On Friday, May 5, the girls varsity water polo team beat Staples High School 7-6 on Senior Day.